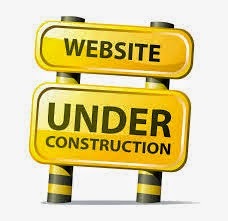 I know this is random but Perfectly Imperfect Brittany is under construction for til no later than Monday ( in a perfect world I will be done by Friday) . But my blog design needs a makeover and since I don't have any money to buy one . So I will in the library and up for the next couple of days trying to get a gorgeous blog post for you guys . And thank you in advance for dealing with me and the design change . But the blog will still be up for you to read old post .